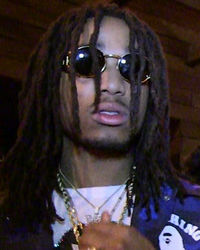 Quavo, real name Quavious Marshall, is a member of Atlanta-based musical hip-hop trio Migos along with Takeoff (real name Kirshnik Ball) and Offset (real name Kiari Cephus). Katy Perry collaborated with Migos on her song “Bon Appetit,” which was released in April 2017. She received backlash for featuring them on the track because of homophobic and misogynist remarks they have made. In March 2014, Migos was involved in a shootout in Miami, but escaped uninjured. Quavo is rumored to be dating Chris Brown’s ex, Karrueche Tran. 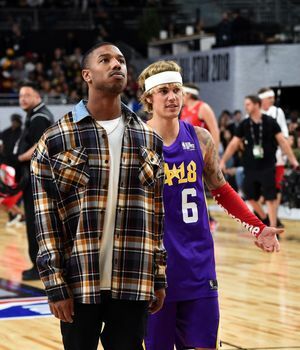 As a teenager, Quavo was a starting quarterback for Berkmar High School in Lilburn, GA. I'm Just like Quavo ... Matching $250K Grillz!!! 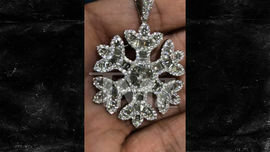 Diamonds Are Saweetie's Best Friend ... Drops $75k On Bling For GF!!! 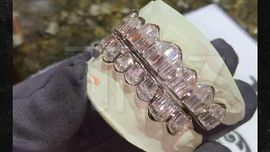 'Handsome And Wealthy' With $250k Grillz!!! 'Big Bro' Lyrics Weren't for Peep Never Speak on the Dead!!! Music Video Vixen ... Gets You Coming and Going!! !